Imagine a world without birdsong. That’s the scenario a new documentary, titled The Messenger, wants you to envision, because it could actually happen sooner than we think. Songbird populations throughout the world are in trouble. By some estimates, we may have lost almost half of the songbirds that filled the skies only 40 years ago. For example, the number of purple martins has dropped by an alarming 78 percent since 1970, according to the North American Breeding Bird Survey, which has been keeping population records for more than 50 years. Songbirds face a number of threats: millions of them die annually in the claws of domestic cats; and millions more collide with city skyscrapers, communications towers, wind turbines and the glass windows of suburban houses. Pesticides also take their toll, and rapid climate change is degrading or even eliminating songbird habitats faster than the birds can adapt. It’s not only the birds’ songs that we’re losing. Like the bees, birds pollinate flowers and disperse seeds. 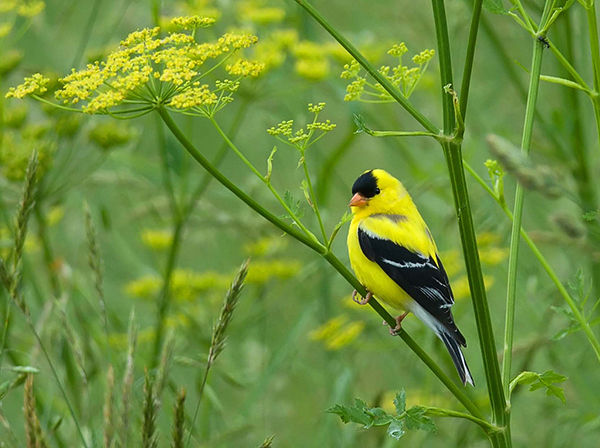 Without songbirds, forests would face uncontrolled insect infestations. Watch the five-minute, behind-the-scenes video below, which demonstrates how the crew of The Messenger managed to get footage of songbirds in night flight. Luckily, the wind tunnel used by scientists at Ontario’s Western University Advanced Facility for Avian Research offered a unique solution. Then watch the trailer for the documentary here. The producers hope that their film will do for songbirds what The Cove did for dolphins and what Blackfish did for orcas. This is a MUST SEE movie that enlightens, inspires, and should be seen in schools.